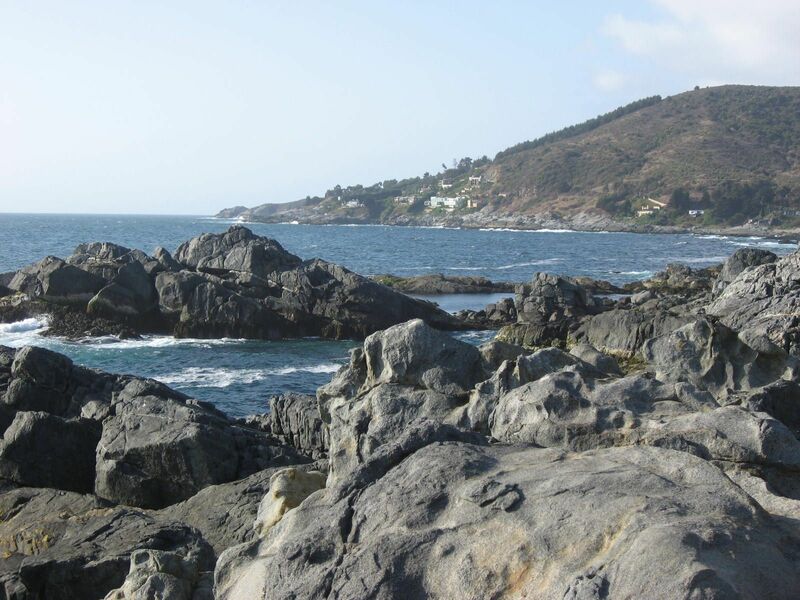 The two hour hike from Zapallar to Cachagua is filled with vistas of the scenic beauty of this section of the Chilean coast. 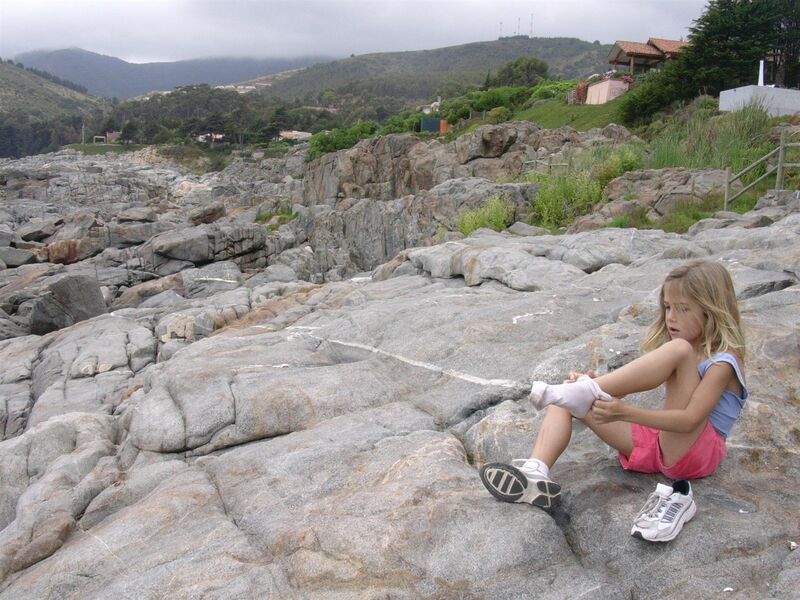 A portion of the trip consists of boulder hopping your own path and another portion is on a well-maintained rambla (pathway). 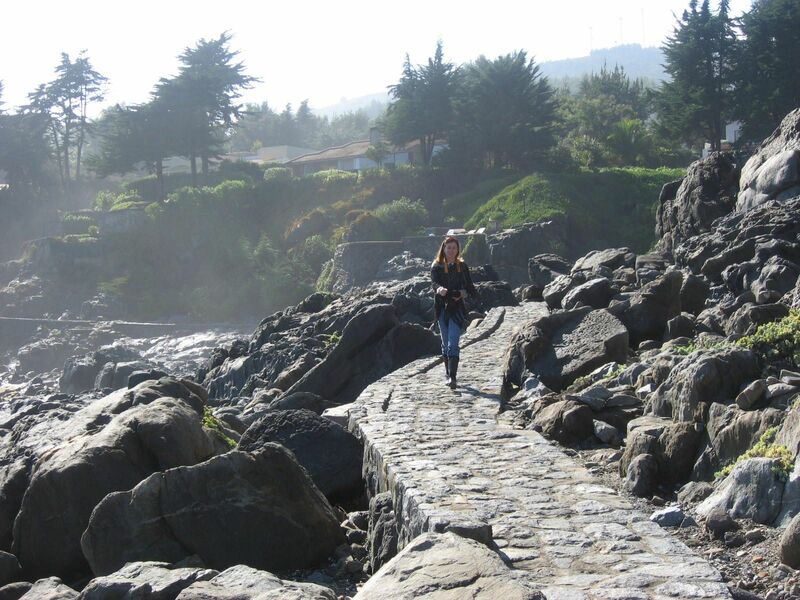 Along the way you will pass a couple hidden little beaches, and even an island of Chilean penguins. 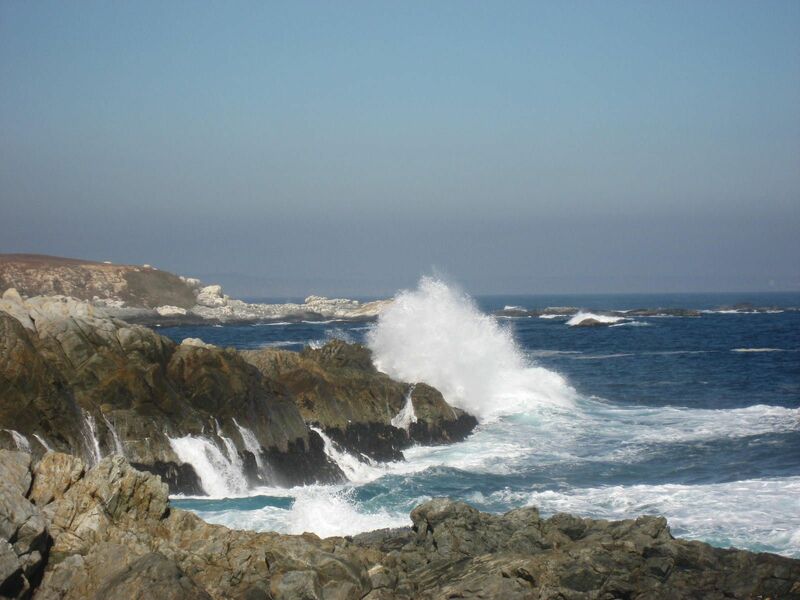 There is also the ever presence of ocean waves meeting granite rocks in wonderous displays. For the purpose of this naration, we will journey from Zapallar to Cachagua, although obviously the trip can be walked in either direction. 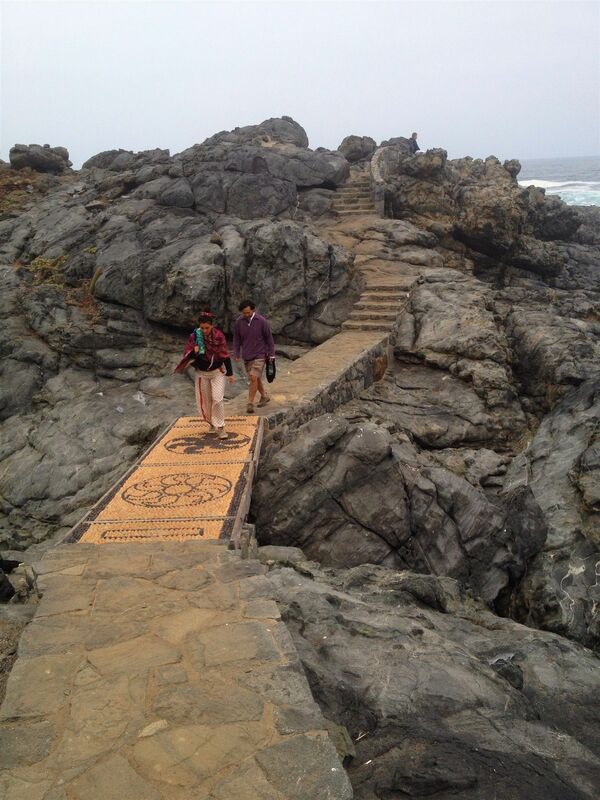 The hike begins at Mar Bravo. 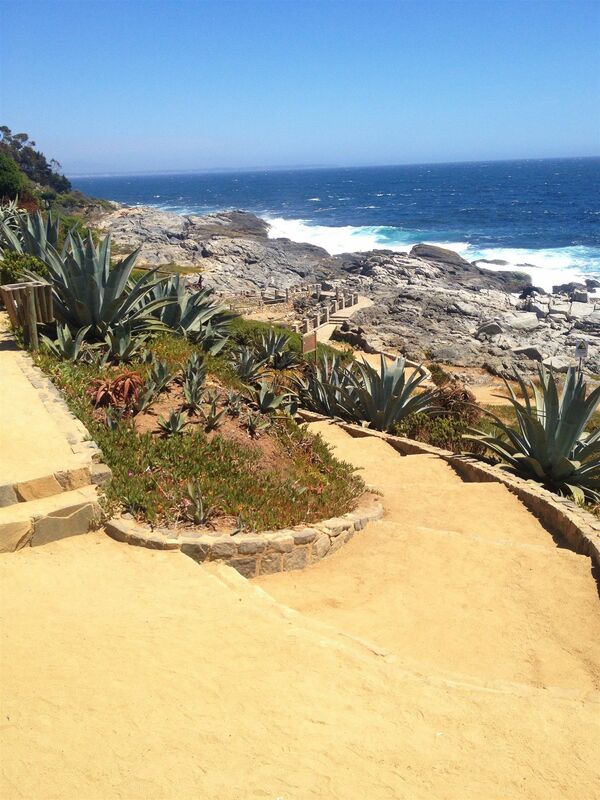 Take the pathway that leads down from the park and head south along the coast. 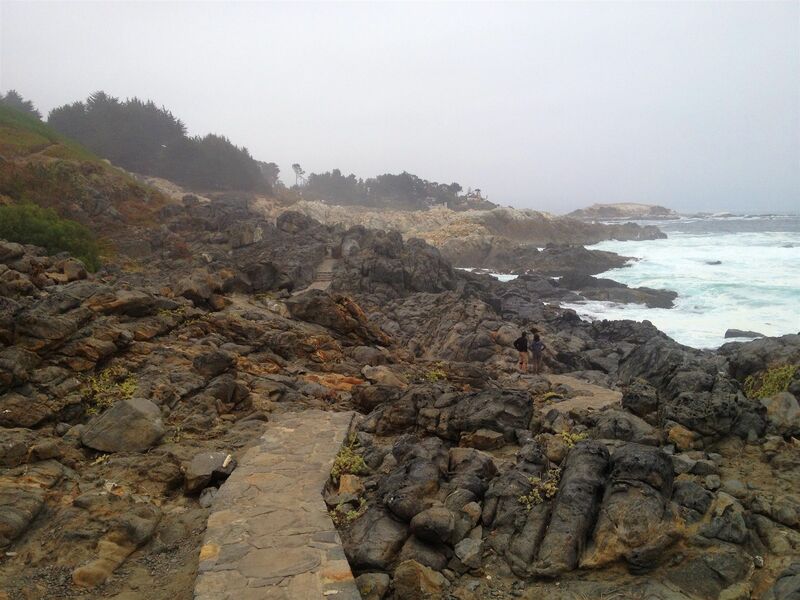 To avoid the boulder hopping portion of the trip, you can walk down the road fronting the park and pick up the Rambla portion of the hike just past El Pangue forest (take the first right after the forest to reach the trailhead going down to the Rambla). You might see anything on this trip, maybe even a helicopter or two. This short rambla at the beginning of the trip only last 10 minutes or so, and then the boulder hopping begins. This blazing of your own trail through the rocks brings your mind back to the days of yore when this was a common mode of walking. Take one way around a large granite cropping only to be obstructed and have to backtrack a little to find another way. It is all very doable, with only a couple spots where fencing of people’s yards have made it difficult to get by. 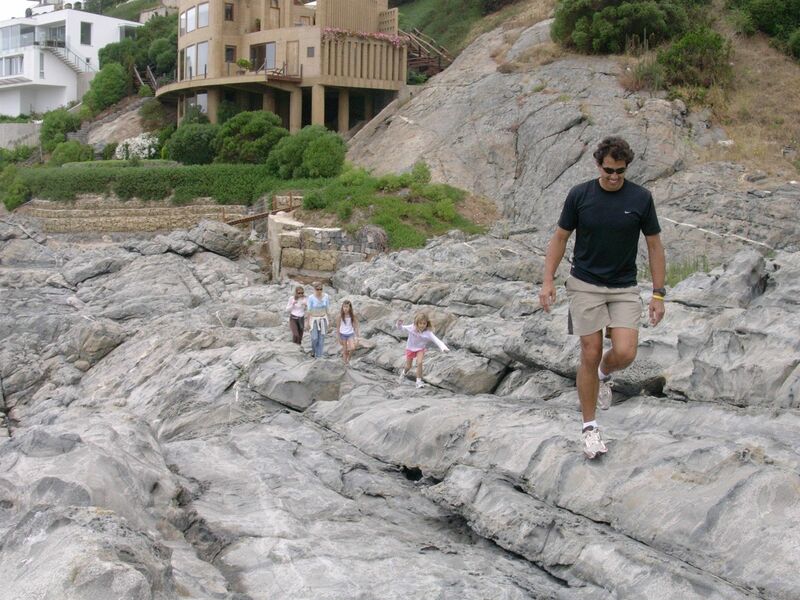 The enjoyment of the scenery is only topped by the feeling of accomplishment as you work your way down the coast. 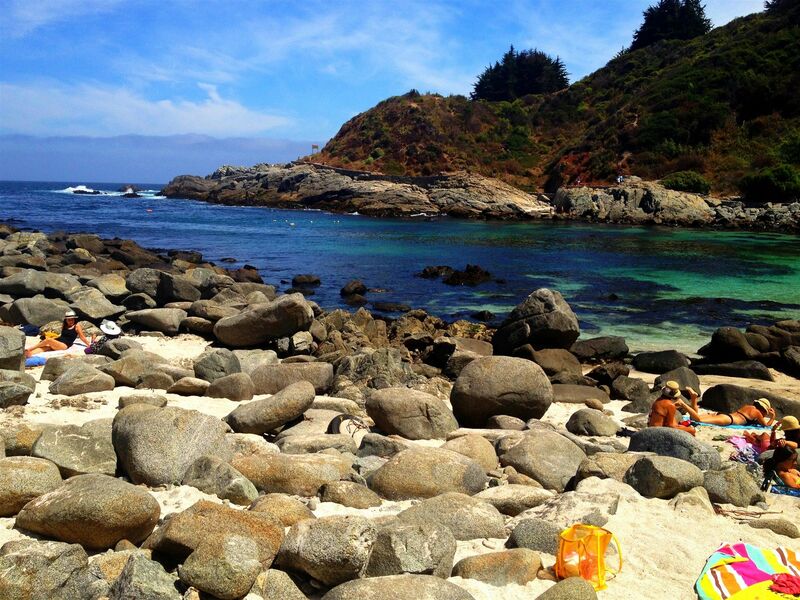 At the end of your boulder hopping you come to the secluded little beach of Pangue. 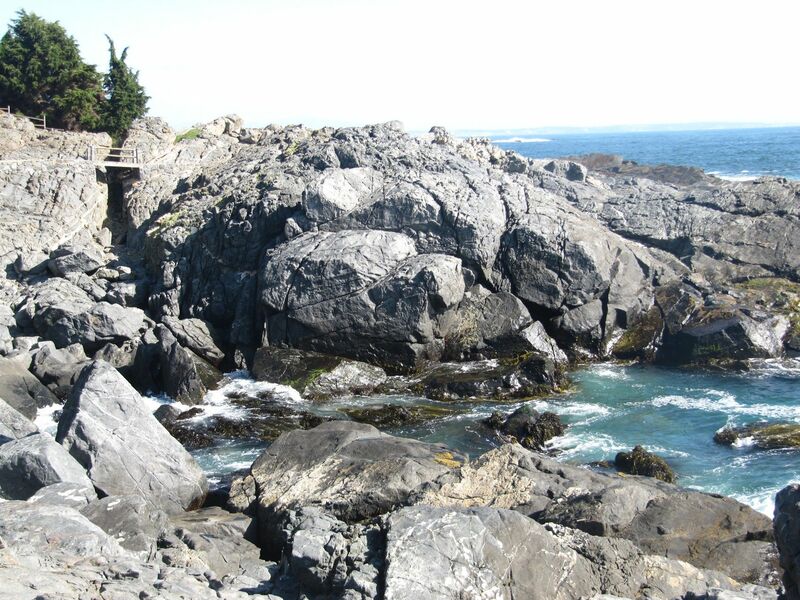 Until recently this beach was almost private because the only way to access it was by scrambling over the rocks. Now a rambla begins of the far side of the beach. 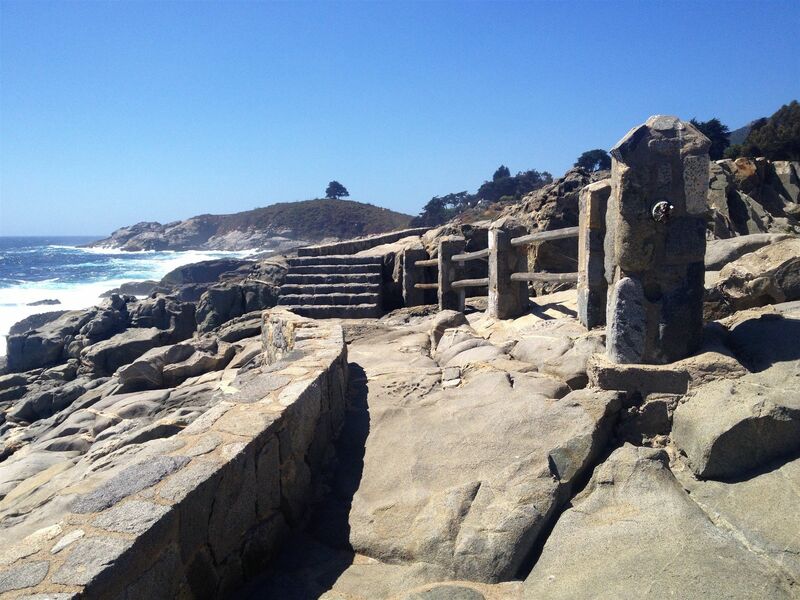 This has made it easier for people to get to this beach, although it is still very much unused. 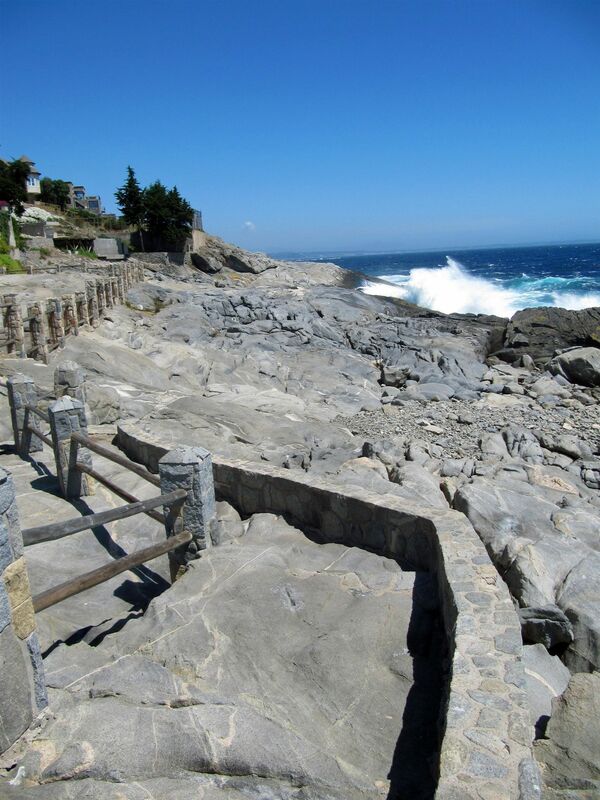 A branch of the rambla goes up to the coastal road just past Pangue; this is where you will pick up the trip if you have hiked the road from Mar Bravo. Once past Pangue and onto the rambla, the going is much easier and relaxing. 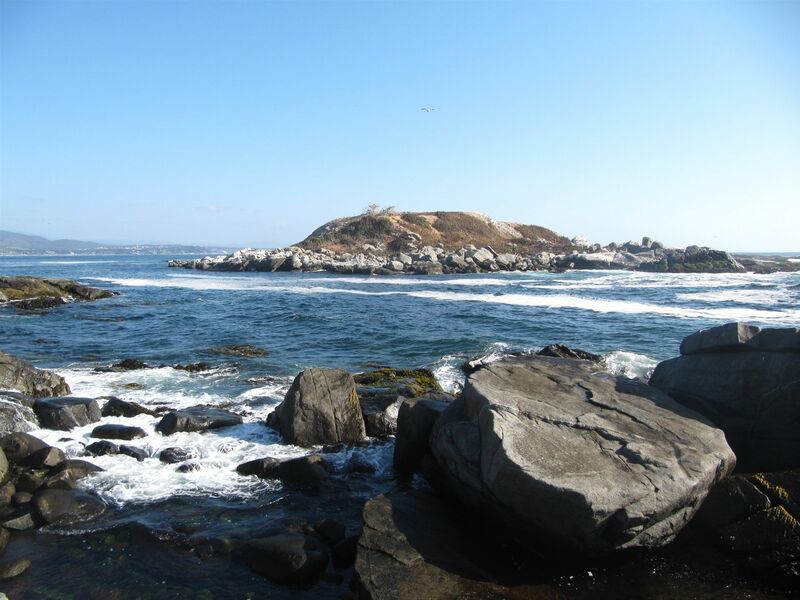 Keep your eyes peeled, in the water below and in the surrounding rocks, for a glimpse of a sea lion, or even a Chungungo (or nutria), the sea otter in this area. 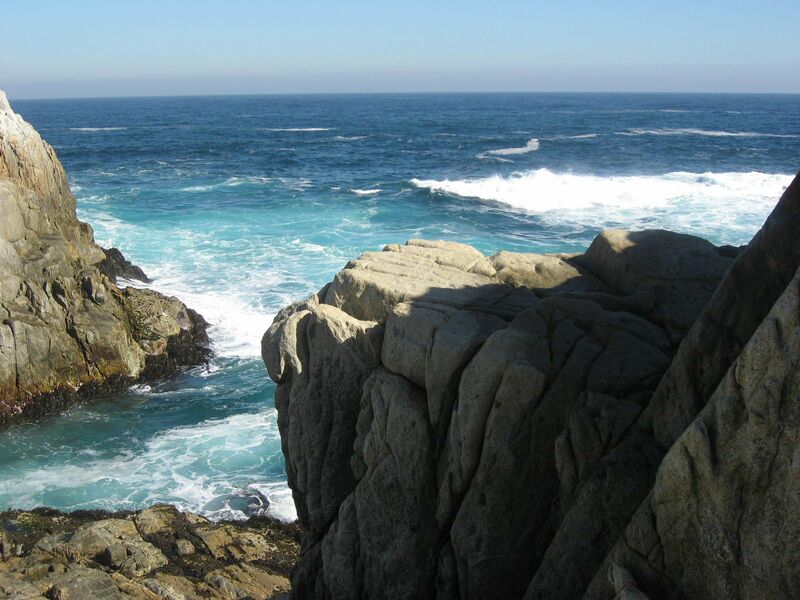 The beauty of the coastline is ever present. 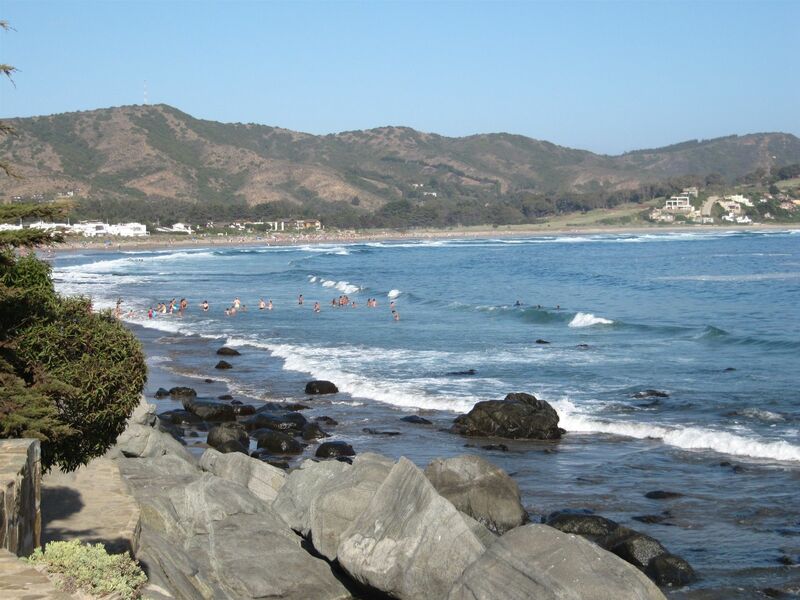 The next little bay you come to is Las Cujas, with a little sandy beach and a water that is easy to get into. 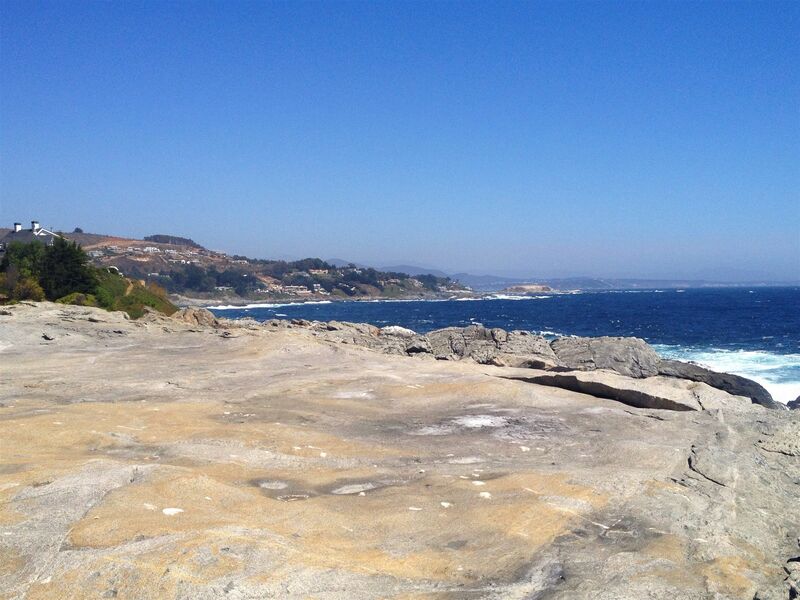 This beach is also accessible from a parking lot above just near park/plaza in Cachagua. 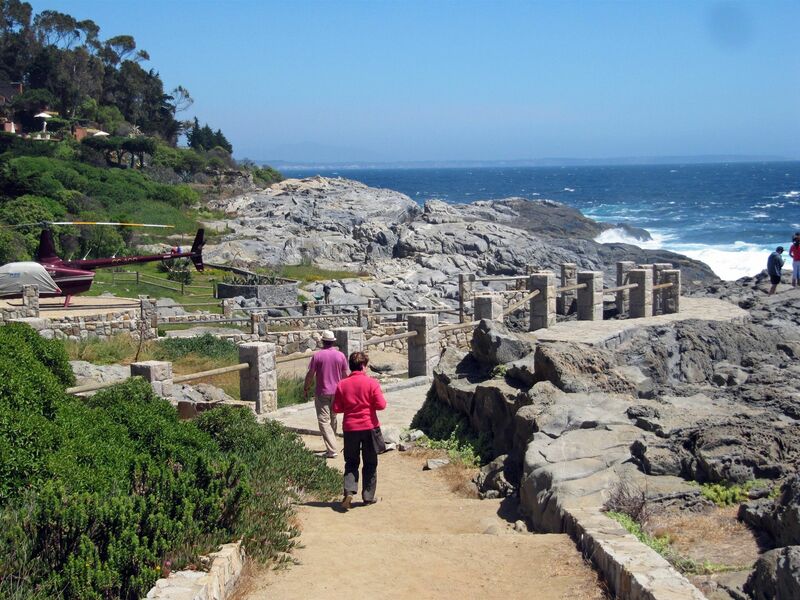 Continuing the easy walk to Cachagua Beach takes you by many more homes, some old, some new, built along this coastline. 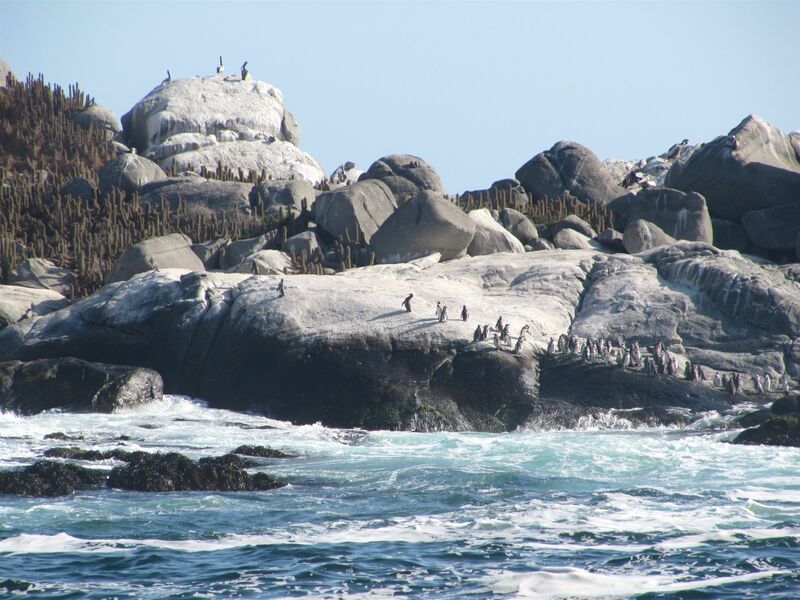 As you pass by the Isle de Penguinos (Penguin Island), take a moment to look for the little Chilean penguins that inhabit this portion of the coast (well, at least this island). 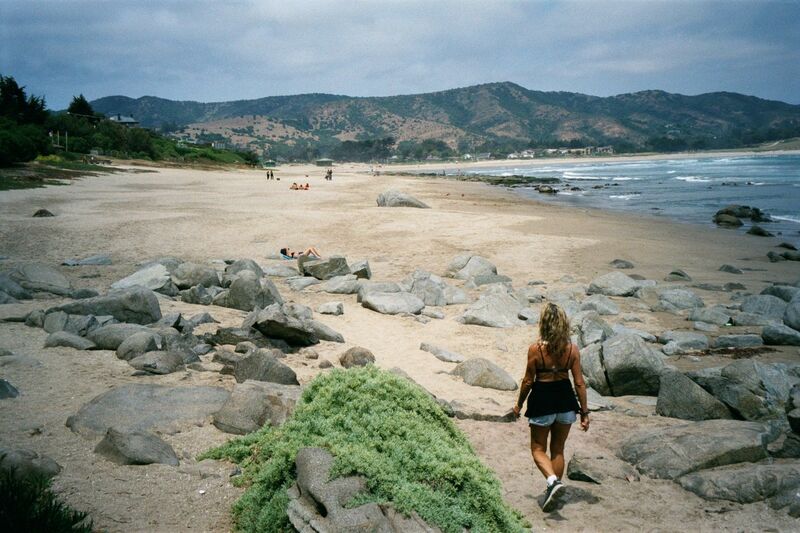 The end of this walk leaves you on Cachagua Beach. The lengthy, level hike down this beach is left for another day.